1) (Cambridge and Storbrook, co. Suffolk). Or, a chev. gu. in chief two leopards’ heads of the last. Crest—A demi leopard ar. spotted sa. holding betw. the paws an increscent erm. 2) (Langley Park, co. Buckingham, bart.). Gu. on a bend engr. ar. three trefoils slipped vert, all within a bordure wavy or. Crest—A lion reguard. ppr. supporting an escutheon ar. charged with a bat’s wing sa. Motto—Probitas verus honos. 3) (Ailsbeare, co. Devon; Richard Harvey, of that place, Visit. 1620, great grandson of Thomas, fourth son of Thomas, second son of John Harvey, Esq., of Thurley, co. Bedford). Same Arms as Hervey, Marquis of Bristol, viz., gu. on a bend ar. three trefoils slipped vert. 4) (Enoch Harvey, Esq., of Aigburth, Liverpool). Erm. a chev. engr. betw. three leopards’ faces gu. Crest—A leopard pass. 5) (granted to Capt. Harvey, R.N., C.B.). Az. on a pale ar. betw. two eagles displ. or, each surmounted by an anchor erect of the last, a trident sa. entwined by two branches of laurel ppr. Crest—Betw. a branch of oak and another of laurel a dexter cubit arm erect ppr. the hand holding a trident or, on the staff a flag hoisted az. thereon the word “Rosario” in letters of gold. Motto—Dieppe. 6) (cos. Devon and Suffolk). Gu. on a bend ar. three trefoils slipped vert. Crest—A leopard sa. bezantee collared and lined or, holding in the dexter paw a trefoil slipped gold. 7) (London; William Harvey, Comptroller for the Sheriff of London, grandson of William Harvey, of same place; certified by Camden, Clarenceux). Or, on a chev. betw. three leopards’ faces gu. as many trefoils ar. Crest—A leopard pass. ar. ducally gorged and chained or, charged on the shoulder with a trefoil vert. 8) (co. Essex and London). Or, a chev. betw. three leopards’ faces gu. Crest—A leopard ar. ducally gorged and lined or. 9) (Alvington, Isle of Wight, and Wormersley. co. York; granted 1688). Same Arms, chev. engr. Crest—A leopard pass. ppr. gorged with a collar engr. gu. 10) (Eastry, co. Kent; descended from the Harveys, of Eythorne, settled there in the fifteenth century; from the same stock spring the Harveys, of Cowden). Ar. on a chev. embattled gu. betw. three bears’ gambs erased and erect ermines as many crescents erminois. Crest—Two bears’ gambs, the paws supporting a crescent as in the arms. 11) (John Springett Harvey, Esq., Accountant-General of the Court of Chancery, son of the Rev. Richard Harvey, of Eastry, by Catherine, his wife, only child of John Springett, Esq.). Same Arms and Crest, on the arms a canton gu. charged with an eagle displ. ar. ducally crowned or, standing on a serpent nowed in fret ppr. 12) (co. Kent; borne by Admiral Thomas Harvey, son of Admiral Sir Henry Harvey, K.B., of Walmer, a descendant of Harvey, of Eastry). (St. Lawrence, Ramsgate, co. Kent). Az. on a chev. embattled betw. two bears’ paws erased in chief and an anchor erect in base or, a bomb on fire accompanied by two crescents sa. on a canton of the second a slip of oak fructed ppr. grasping a crescent or. 13) (Ickwell Bury, co. Bedford; a younger branch of the Harveys, or Herveys, of Thurley, co. Bedford, and Finningley Park, co. York). Or, on a chev. gu. betw. three leopards’ heads, as many trefoils ppr. Crest—A leopard pass. bezantee, gorged with a ducal coronet and chained or, holding in his dexter paw a trefoil slipped ppr. Motto—Recte faciendo neminem timeas. 14) (Sir James Harvey, Lord Mayor of London, 1582, son of William Harvet, Gent., of Cotwalton, co. Stafford; his son, Sir Sebastian Harvey, Lord Mayor of London, 1618). Or, on a chev. betw. three leopards’ heads gu. a crescent of the field. Crest—A leopard pass. ar. spotted sa. ducally gorged and chain reflexed over the back or. 15) (co. Middlesex). Or, on a chev. betw. three leopards’ faces gu. as many trefoils slipped ar. Crest—A leopard pass. ar. spotted sa. ducally collared and chained or, on the shoulder a trefoil slipped of the first. 16) (Tonbridge and Cowden, co. Kent). Sa. a fesse wavy, and in chief three crosses formee ar. 17) (co. Suffolk). Sa. on a bend ar. three trefoils slipped vert, in chief a fleur-de-lis erm. Crest—A demi leopard sa. bezantee, holding in the paw a trefoil vert. 18) (Thorpe, co. Norfolk). Erminois on a chief indented gu. three crescents ar. Crest—Over a dexter cubit arm erect ppr. a crescent ar. betw. two branches of laurel also ppr. Motto—Alteri sic tibi. 19) (Crown Point, co. Norfolk, bart.). Erminois on a chief indented gu. a representation of the gold medal presented to Sir Robert John Harvey for his services at the battle of Orthes, pendent from a ribbon gu. fimbriated az. beneath the word “Orthes,” betw. two crescents ar. a canton erm. thereon a representation of a badge of the Order of the Tower and Sword. Crest—Out of a mural crown or, a dexter cubit arm erect ppr. above a crescent ar. betw. two branches of laurel also ppr. Motto—Alteri sic tibi. 20) (Wormersley, co. York). Erminois a chev. engr. betw. three leopards’ faces gu. Crest—A leopard pass. ppr. gorged with a collar engr. gu. 21) Gu. on a chev. erminois six trefoils slipped vert (the erm. and trefoils inclining the same way as the chev.) on a chief or, a stag’s bead caboseed az. betw. two mullets of the field. Crest—Issuant from a crescent or, charged with a stag’s head cabossed az. a cubit arm erect, holding a trefoil slipped ppr. 22) Az. on a bend betw. two mullets in chief and a mascle in base ar. three trefoils slipped vert. Crest—A cubit arm holding a trefoil slipped and erect ppr. 23) Ar. three trefoils slipped vert. 24) or Harvy – Ar. three lions’ heads erased sa. 25) (Chigwell, co. Essex; William Harvey, M.D., so famed for the discovery of the circulation of the blood, was of this family; the last male heir, Admiral Sir Eliab Harvey, G.C.B., of Rolls Park, Chigwell, d. in 1830, leaving six daus. his co-heirs, viz., Louisa, m. to William Lloyd, Esq., of Aston, co. Salop; Emma, m. to Lieut.-General William Cornwallis Eustace, K.C.H. ; Maria, m. to the Rev. William Tower, of Weald, co. Essex; Georgiana, m. to William Drummond, Esq. ; Eliza, to. to Thomas William Bramston, Esq., M.P., of Skreens; and Mary, to. to R. G. C. Fane, Esq.). (Comb-Nevile, co. Surrey; descended from Daniel Harvey, fourth son of Thomas Harvey, of Folkestone, and brother of Dr. Harvey, the celebrated physician).(Rev. Richard Harvey, Vicar of Eastry, co. Kent, d. 1778). Or, on a chief indented sa. three crescents ar. Crest—A dexter hand couped at the wrist and erect ppr. over it a crescent reversed ar., motto over, Temeraire. Supporters (granted to Admiral Sir Eliab Harvey, G.C.B. )—Dexter, a Triton, holding over the dexter shoulder a trident, laurel entwining it, all ppr. ; sinister, a horse ar. gorged with a naval crown or, on the rim the word “Trafalgar” sa. hanging to it by a white ribbon with two blue stripes the Trafalgar medal or. Motto—Redoubtable et fouguex. 26) (Bargy Castle, co. Wexford, originally of Bosworth, co. Leicester; settled in the former county as early as 1590). Or, on a chief indented sa. three crescents ar. Crest—A dexter arm embowed in armour, grasping a sword ppr. pommel and hilt or. Motto—Semper idem. 27) (Kyle, co. Wexford; descended from the eldest son of the Rev. William Harvey, of Bargy Castle, by his second wife, Dorothea, dau. and heiress of Christopher Champney, Esq., of Kyle). Same Arms and Motto. Crest—A dexter hand couped at the wrist and erect ppr. above which a crescent reversed ar. 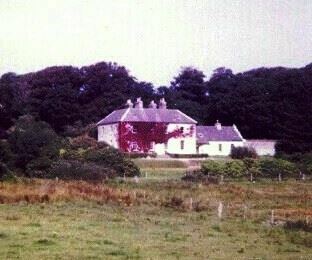 28) (Mintiagho, Innishowen, co. Donegal, and Goldington Hall and Bolnhurst, co. Bedford). Gu. on a bend ar. three trefoils slipped vert. Crest—A lion pass. guard. ppr. holding in the dexter paw a trefoil slipped vert. 29) (Fun. Ent. Ulster’s Office, Captain George Harvey, Constable of the Fort of Maryborough, d. 1 Oct. 1599). Gu. on a bend ar. three trefoils slipped az. 30) (confirmed by St. George, Ulster, 1665, to Sir Peter Harvey, Knt., one of the farmers of His Majesty’s Customs in Ireland). Ar. three lions ramp. sa. on a chief indented az. as many crescents or. Crest—A demi lion ramp. sa. holding in the dexter paw a crescent or. 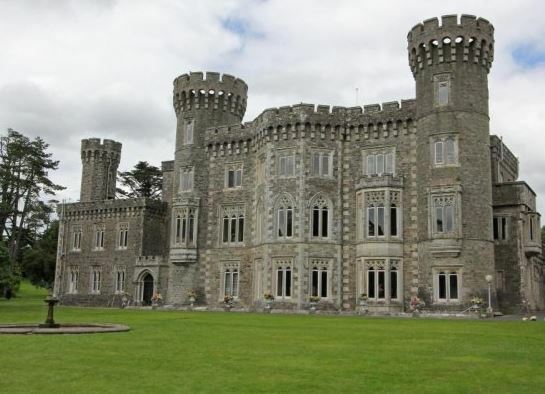 31) (granted to Robert Harvey, Esq., of Killiane Castle, co. Wexford, grandson of Rev. James Harvey by Martha, dau. of John Beauchamp, Esq., of Ballyloughane, co. Carlow, in token of his descent from the Beauchamp family, then extinct). Gu. a fess betw. six trefoils slipped or. Crest—A bear ramp. supporting himself on a staff raguly all ppr. 32) Ar. on a mount vert a hare saliant ppr. 33) (Elrick, co. Aberdeen). Gu. a fesse or, betw. three mullets in chief and a mascle in base ar. 34) (Broadley, co. Aberdeen). Az. on a bend or, three trefoils vert. Crest—A trefoil vert. Motto—Delectat et ornat. 35) (Castle Semple, co. Renfrew). Gu. on a bend erminois three trefoils slipped vert, on a chief ar. a buck’s head cabossed sa. betw. two mullets of the first, and in the sinister chief point a cross pattee of the fourth. Crest—Out of a crescent or, charged with a buck’s head, as in the arms, a cubit arm ppr. the hand grasping a trefoil slipped, erect vert, the arm charged with an erm. spot or. Motto—Omnia bene. 36) (Sir George Harvey, President of the Royal Scottish Academy, 1871). Az. on a bend ar. three trefoils slipped vert. Crest—A dexter hand ppr. holding a trefoil slipped vert. Motto—Delectat et ornat. 37) Az. a fesse betw. three martlets or. Crest—A boar’s head and neck issuing sa. 38) Az. a fesse or, betw. two martlets in chief and a catharine wheel in base ar. 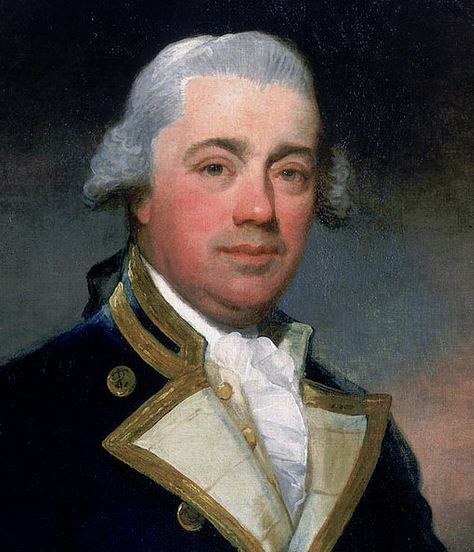 39) (Hale, parish of Linkinhorn, co. Cornwall; Baldwyn, son of John Harvy. Visit. 1620). Ar. a chev. betw. three harrows sa. 40) (London). Az. on a chev. embattled or, three leopards’ faces sa. 41) (London). Sa. on a chev. betw. three leopards’ faces or, a crescent gu. 42) or Harvey – (cos. Norfolk and Suffolk). Ar. three saddles sa. Crest—A lion couchant gu. 43) Ar. two bars nebulee sa. on a chief of the last three crosses pattee fitchee or. 44) (Brockley, co. Somerset). Sa. a fesse or, betw. three squirrels sejant ar. cracking nuts of the second. Crest—A squirrel sejant ar. tail or, cracking a nut gold. 45) Ar. on a chev. sa. three guttees d’or. 46) (Marquess of Bristol). Gu. on a bend ar. three trefoils slipped vert. Crest—An ounce pass. sa. bezantee, ducally collared and chain reflexed over the back or, holding in the dexter paw a trefoil slipped vert. Supporters—Two ounces sa. bezantee, ducally collared and chain of each reflexed over the back or. Motto—Je n’oublieray jamais. 47) (Lord Hervey, of Ross and Kidbrooke, created 1620 and 1628, extinct 1642; descended from a common ancestor with the Marquess of Bristol). Same Arms and Crest. Supporters—Two leopards or, pellettee. 48) Hervey-Bathurst (Lainston, co. Southampton, bart.). Quarterly, 1st and 4th, gu. on a bend ar. three trefoils slipped vert, for Hervey; 2nd and 3rd, sa. two bars erm. in chief three crosses formee or, for Bathurst. Crests—1st, Hervey: An ounce sa. bezantee, collared and lined or, holding in the dexter paw a trefoil slipped vert; 2nd, Bathurst: A dexter arm embowed, habited in mail, holding in the hand ppr. a club with spikes or. Motto—Je n’oublierai Jamais. 49) (Thurley, co. Bedford). (Kidbrooke, co. Kent, bart., extinct 1642). Gu. on a bend ar. three trefoils slipped vert. 50) (cos. Cornwall and Somerset). Sa. a fesse or, betw. three squirrels sejant ar. Crest—A squirrel sejant ar. tail or, cracking nuts. 51) (Tiddington, co. Oxford). Az. three pack-saddles sans stirrups or. 52) Gu. on a chev. betw. three leopards’ faces or, as many trefoils slipped vert. 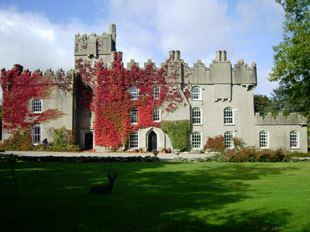 53) (Killiane Castle, co. Wexford). Gu. on a bend ar. three trefoils slipped vert. Crest—A cat-a-mountain ppr. holding in the dexter paw a trefoil slipped vert. Motto—Je n’oublicrai jamais. 54) Vert a lion pass. guard. ar. Crest—An ox-yoke in bend gu. bows or. 55) Or, a chev. betw. three leopards’ faces gu. This is a baptismal or patronymic surname meaning “the son of Harvey”. Harvey was an old Norman personal (first) name, that was also sometimes fashioned Hervot. Another source, Henry Barber in his 1903 book “British Family Names: Their Origin and Meaning”, offered an alternative view that this masculine given name may be the Old Norse Havarr, from the Danish Hartvig, or from the Flemish Harvig. Elsdon Coles Smith in his 1956 book “Dictionary of American Family Names” states the name means bitter or carnage-worthy. Along these lines, another source, Eric Rosenthal in his 1965 book “South African Surnames” states the name means “battle worthy”. Yet another source, William Arthur, in his 1857 book “An Etymological Dictionary of Family and Christian Names” states the name is Saxon and means an army, wic, or fort. 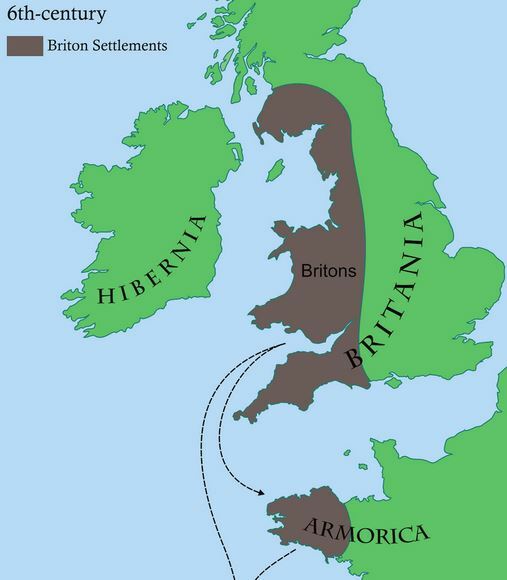 Another source, Dictionary of American Family Names, states this is an English and Scottish name that derives from the Breton first name Aeruiu or Haerviu, consisting of the words haer (battle or carnage) and vy (worthy), and was brought into the British Isles by Breton followers of William the Conqueror during the Norman Invasion of 1066 AD. The book also notes that some historians became it comes from an Norman personal name, or perhaps from the Old German first name Herewig, meaning army (heri) and war (wig). A one Osbert de Hervey was listed in the register of St. Edmundsbury and was the son of Hervey. He is the progenitor of the Herverys of England and Ireland who became ennobled, and likely also the de Hervi’s and Hervies in Aberdeenshire and other locales of Scotland. A one William Herveus was recorded in Normany, France in 1198 AD in the Magni Rotuli Scacarii Normanniae) and England the following year in Surrey and Suffolk in the Rotuli Curiae Regis. In Ireland, the name was primarily found among Ulster settlers, and was also prominent if county Wexford, and was sometimes an anglicization of the O’Hairheadhaigh sept in south Galway. In Ireland, it seems to be a derivation of Airmheadh, the name of a mythological physician. It county Fermanagh, it is sometimes a reduced and Anglicized form of the Gaelic surname O’Hearchaidh, meaning “descendant of Earchadh”, a person name of unknown origin. In England, the family first held land and titles in county Norfolk, granted by William the Conqueror for their loyalty during the Battle of Hastings in 1066 AD. Some spelling variants or names with similar etymologies include: Hervey, Harvie, Hervie, Hearvey, Harrvey, and others. The last name Harvey ranks 247th in popularity in the United Status as of the 2000 Census. The name ranks particularly high in the following six states: West Virginia, Maryland, Mississippi, Iowa, Maine, Wyoming. The surname Harvey frequency/commonness ranks as follows in the British Isles: England (97th), Scotland (201st), Wales (107th), Ireland (532nd) and Northern Ireland (201st). In England, it ranks highest in counties Essex and Cornwall. In Scotland, the surname ranks highest in Orkney. In Wales, it ranks highest in Monmouthshire. In Ireland, it ranks highest in counties Donegal and Leitrim. In Northern Ireland, it ranks highest in county Armagh. The name is also present throughout the remainder English speaking world: Canada (122nd), New Zealand (91st), Australia (90th), and South Africa (563rd). Henry Brougham Guppy’s 1890 book Homes of Family Names in Great Britain states the following in regard to this last name: “Well distributed over England south of a line drawn from Hull to Chester. North of that line its frequency abruptly ceases. It is best represented in Essex, Hants, and Kent, and then in Corwall, Devon, Staffordshire, Notts, Norfolk, and Suffolk. Its preference for the coast counties, especially those in the south – east of England from Kent to Norfolk, is to be remarked. This name in the reign of Edward I. took the form of Hervey and Hervi, and was found in London and Cambridgeshire. Herve was an ancient Norman personal name. Harvey is also found in many parts of Scotland”. The Hundred Rolls of 1273 AD, a census of Wales and England, known in Latin as Rotuli Hundredorum lists four bearers of this surname: Warin Hervi (Cambridgeshire) and Robert filius Hervei (Lincolnshire). William Hervey was recorded in Essex in 1232 AD. Warin Harvi was documented in the Pipe Rolls of Cambridge in 1273 AD. In Scotland, John Hervy was a burgess of Aberdeen in 1398 AD. The following is a discussion of 13 different noble, royal, landed, or aristocratic families bearing this last name. This family was supposedly originally from Bosworth in county Leicester. Ambrose Harvey (“the elder of Bridge of Bargy”) was the father of a son, also named Ambrose (“the younger of Gregheela”). In 1677, the son married Susanna, daughter of Samuel Cambey. They had a son together named Reverend William Harvey, who was born in 1692 and became the Rector of Mulrankan and Prebendary of Edermine. He first married Susanna, daughter of John Harvey of Killiane Castle, and had issue with her as follows: 1) Reverend Ambrose (married Elizabeth Hughes, had a great grandson named Jaffray who emigrated to Canada), 2) John (of Tagunnan in Wexford, married Jane Russel and had issue named John, Richard, William), 3) Francis (his successor), 4) Elizabeth (married John Boxwell of Lingstown Castle), 5) Susannah (married Mr. Thornton and later Mr. Bennett), 6) Catherine (married Thomas Hore in 1737), and 7) Mary (married Mr. Allen and later James Moore of Milne Hall). The Reverend William Harvey secondly married Dorothea, daughter and heiress of Christopher Champney of Kyle, and had issue with her named Christopher (see Harvey of Kyle) and others. He also served as the Mayor of Wexford in about 1753. He was succeeded by his son Francis Harvey, Esquire of Bargy Castle, who married Martha, eldest daughter of Reverend James Harvey OF Killiane Castle and had issue with her. His eldest son was Beauchamp Bagenal Harvey. He was part of a rebellion and died. His brother, James, received a re-grant of the old family estates. He willed his propery to his first cousin, John Harvey of Mount Pleasant. John was a Barrister-at-Law and Justice of the Peace who married Mary, daughter of William Harrison of Castle Harrison in county Cork, Ireland, with whom he had five children as follows: 1) John (served in the Royal Navy), 2) William Harrison (a Lieutenant Colonel in the Royal Army, who lost an arm at the Battle of Waterloo, married Elizabeth Mary, daughter of Colonel Paulet Colebrooke, had issue named John, William Henry, James Colebrooke, and Agnes Mary), 3) George (served in Royal Navy), 4) Sarah (1867), 5) Eliza, and 6) Anne (married Conolly McCausland Lecky of Londonderry in 1865). He died in 1834 and was succeeded by his grandson, John Harvey of Bargy Castle. This John was an Esquire of Bargy Castle and Mount Pleasant, a Captain in the Royal Army, a Major of the Donegal Artillery, Justice of Peace, and Deputy Lieutenant. He was born in 1816 and in 1837 he married Jane, daughter of Lieutenant William Miller and had three issue with her: Elizabeth Jane (married General Robert Alexander Napper of the Bengal Staff Corps), Henrietta (married James Bradish of Strandfield, had issue), and Mary Elizabeth. Later, in 1852, he married Anne, daughter of Pierce William Hughes of Kilkevan, and had ten more children with her as follows: John Maclachlan (1853), Edward George Colebrook (1855), William James Colebrooke (1850), Alexander Maclachlan (March 1861), Harvey de Montomorency (1864), Robert Rae Fisher (April 1867), Charles Bertie Seymour (1869), Pierce William George Hughes (1871), Anna Beatrice, and Florence. The Harvey Coat of Arms for this branch of the family is blazoned in the medieval art of heraldry as follows: Or, on a chief indented sable three crescents argent, Crest: A dexter arm embowed in armour, grasping a sword proper pommel and hilt or. Motto: Semper idem. This family was seated at Bargy Castle, Ballycogley, county Wexford, Ireland. The lineage of this branch of the family tree goes back to Reverend Christopher Harvey of Kyle, son of Reverend William of Bargy Castle, who was the Incumbent of Rathdowney. He married Rachel, daughter of Lorenzo Nickson of Munny, with whom he had three issue: William (his heir), Dorothea (married Percy Evans Freke, had son named George who was the 7th Lord Carbery), and Rachel (married Captain Charles Randall). He died in 1796 and was succeeded by his son William. This son William was an Esquire of Kyle and Barrister-at-Law who was born around 1767. In 1795, he married Dora, daughter of Reverend Maurice Crosbie, with whom he had the following issue: 1) Christopher George (the Mayor of Wexford in 1832), 2) James William (of Bromley, married Frances Pounded, had issue named Crosbie William, Sophia Pyne, Julia Maria, Dora Adelaide, and Mary Anne), 3) Maurice Crosbie (served in the Royal Navy and was a Justice of the Peace), 4) Percy Lorenzo (discussed more below), and 5) Henry Robert (Justice of the Peace born in 1802, married Eugenie Fannie Felicite, had issue named William Crosbie, James Henry, Cavendish Gore, Francis, and Dorothea Eugenia). His son Percy Lorenzo Harvey was an Esquire of Kyle in county Wexford, Ireland who was born in 1801. He was a Captain of the H.E.I.C Service, a Justice of the Peace, Deputy Lieutenant, and High Sheriff. His second wife was Mary Arabella, daughter of Francis Leigh of Sion, with whom he had three issue: Percy Leigh, Mary Elizabeth, and Eva Dora. The Harvey family crest of this branch is blazoned as follows: Or, on a chief indented sable three crescents argent. Crest: A dexter hand couped at the wrist and erect proper above which a crescent reversed argent. Motto: Semper idem. 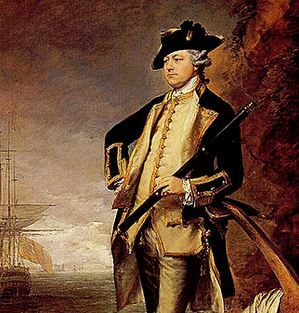 Robert Harvey was an Esquire who shared a common ancestor with the Bristol family. In 1637, he married Sarah, daughter of John Audley of Sutton, and had a son and heir with her named Ralph. Ralph was an Esquire of Tibenham and he married Susan, daughter of Augustine Parker, with whom he had the following issue: John, Hugh (had son named John), Robert (had son named Robert of Stockton, Wiltshire, married Mary Thursby). The eldest of his sons, John Harvey, was an Esquire of Ickwell Bury in county Bedford and Fingingley Park, county York, England. He married Mary Vassall, and had issue with her. His eldest son was Robert. This Robert was an Esquire of Ickwell Bury and a Member of Parliament in county Bedford who was born in 1677. 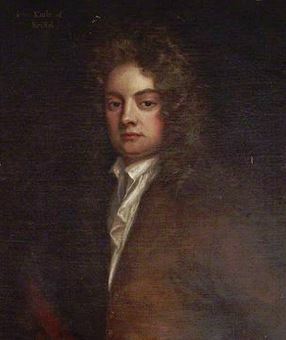 He married Sarah Gore, daughter and co-heir of Sir John Robinson, Baronet of Farming Woods, and had two issue with her: Ann (married Samuel Ongley) and James. The son James married Elizabeth Fairie and had two sons: John (his heir) and Edmond (Rector of Finningley, married Mary Rooke, had issue named John, William, Edmund, Reverend James, and Elizabeth). The elder son and heir, John Harvey, was an Esquire of Ickwell Bury and a High Sheriff of Bedford in 1781. He married Sarah Silcock and had two issue with her: Sarah (married William Astell of Everton House) and John. The son John was a Deputy Lieutenant and High Sheriff who married Susannah, daughter of John Gibbard of Sharnbrook, and had issue with her as follows: John (his heir), Susan, Sarah, Mary, and Elizabeth (married Thomas Kington Bayly of Abbots Leight). He died in 1819 and was succeeded by his son John. This son John Harvey was an Esquire of Ickwell Bury, county Bedford and Finningley Park, county York, who was also a Justice of the Peace, Deputy Lieutenant, and High Sheriff born in 1815. 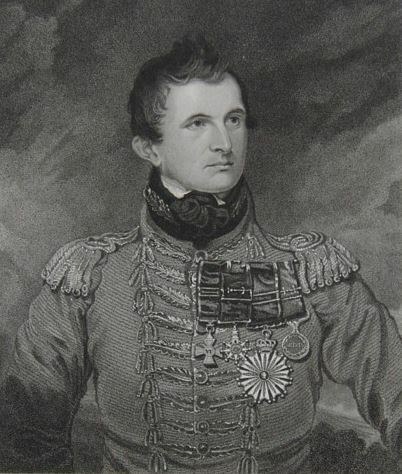 He succeeded his father in 1819 and in 1848, he married Annie Jane, daughter of Henry Tennant of Cadoxton Lodge in Wales, and had one son and one daughter with her as follows: John Edmond Audley (born 1850, Justice of the Peace, Deputy Lieutenant, and Lieutenant of the 42nd Highlanders, married Rosa Frances, daughter of Admiral Keith Stewart, had daughters named Andalusia Beatrice and Marjory Rosa Bayly) and Beatrice Susan Audley. The arms of this branch of the Harvey family has the following heraldic blazon: Or, on a chevron between three leopards’ faces gules as many trefoils slipped argent. Crest: A leopard passant sable bezantee, gorged with a ducal coronet, and lined or, holding in his dexter pay a trefoil slipped vert. Motto: Recte facendo neminem timeas. They were seated at Ickwell Bury, Biggleswade and Finningley Park, Bawtry in England (in modern day United Kingdom). The Harvey genealogy of this line begins with a discussion of John Harvey, Esquire of Londonderry and High Sheriff in 1696. He was likely the sixth in descent from Sir Nicholas Harvey who died at Ampthill in 1532, the son of William Hervey of Ickworth. He married four times and had many issue including: 1) Robert (ancestor of the Harveys of Inishiowen) and William (of Killea, married Mary McClintock of Dunmore). William Harvey had a son and heir named John. John was an Esquire of Londonderry, who in 1751, married Elizabeth, daughter of William Scott, with whom he had a son named Thomas. This Thomas Harvey was an Esquire of Portland Place in London and of Mintiaghs, Inishowen, in county Donegal, Ireland, who was born in 1756. 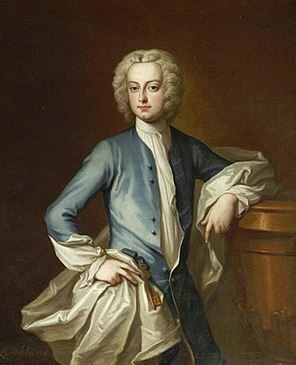 He married Maria, daughter of John Paris of Wanstead, and he had the following children with her: 1) John (his heir), 2) Thomas (of Wykeham, had issue Edmund, Francis, Edward, Frances Emily, Archibald Ross), 3) William Francis (of Purbrook, married Mary Johanna, daughter of Major-General J.P. Murray, had issue named Thomas William and Maria Elizabeth), and 4) Rebecca Maria (married R.A. Douglas Gresley of Salwarpe, had three daughters). He died in 1819 and was succeeded by his eldest son John. This John Harvey was an Esquire of Mintiaghs and Middle Temple, Barrister-at-Law, who was born in 1792. 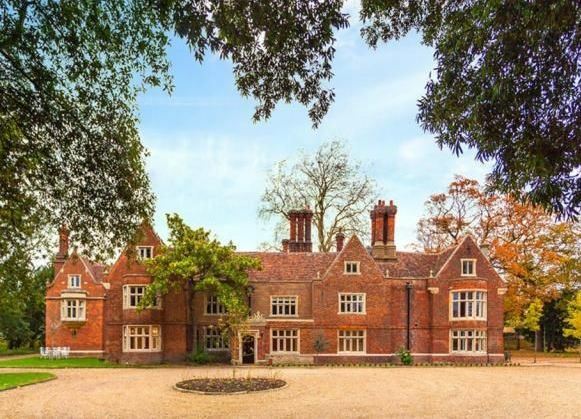 In 1831, he married Harriet Mary, daughter of Archibald Paris, Esquire of Beech Hill Park, and had several issue with her as follows: 1) Edward Henry (of the Middle Temple, Barrister-at-Law, born at Tickford Abbey), 2) William Marsh (Barrister-at-Law), 3) Frederick Mortimer (M.A. Trinity College Cambridge), 4) Mary Frances (married Reverend Henry Willes Southney), and 5) Katherine Favell (married Robert Jubb in 1860, had children). His fourth wife was Elizabeth, daughter of Colonel Henry Hart of Kilderry and Anne Beresford, with whom he had a son named George. George Harvey was born in 1713 and was High Sheriff for Donegal in the year 1754. He obtained sizeable lands in the manor of Malin, Inishowen, and he built Malin Hall there. In 1740, he married his cousin, Elizabeth, daughter of Colonel George Hart, and had ten issue with her: 1) John (his heir), 2) George Hart, 3) George (married Mary Donne), and 4) Thomas, and others. Generations later, came John Harvey, Esquire of Malin Hall, who was born in 1802. He was a Justice of the Peace, Deputy Lieutenant, and High Sheriff. In 1831, he married Emily, daughter of Reverend Gorge Miller of Armagh, with whom he had two sons: Robert (born 1833) and George Miller. He died in 1868 and was succeeded by the latter. George Miller Harvey was an Esquire of Malin Hall, county Donegal, as well as a Justice of the Peace, Deputy Lieutenant, and High Sheriff who was born in 1838. In 1864, he married Julia Mary, daughter of William Charles Gage of Drummond House, and had three issue with her as follows: John (born 1865), Mary Gage, and Julia Emily. The Harvey family coat of arms or “Harvey family crest” is blazoned in the medieval art of heraldry as follows: Gules, on bend argent, three trefoils slipped vert. Crest: A lion proper holding in his dexter paw trefoil vert. Motto: Je n’oublierai jamais. They were seated at Malin Hall in county Donegal, Ireland. This line begins with William Lee, an Esquire of Dublinm who descended from the Lee family of Ditchley, county Oxford, England. He married Elizabeth Widdrington and had issue with her. A few generations later came Henry Lee-Harvey, an Esquire of Castlesemple, county Renfrew, who was born in 1823. He was a Deputy Lieutenant. He succeeded his brother in 1872. In 1855, he married his cousin, Lady Elizabeth Erskine, daughter of Henry David, 7th Earl of Buchan, and Elizabeth Harvey, with whom he had issue. He was the son of James Lee Harvey, Esquire of Castlesemple, Mousewald county Dumfries, and the Upper and Lower Conference Estates in the Island of Granada, who was Lieutenant Colonel of the 92nd regiment and married, in 1812, Margaret, daughter and heiress of the Honorable John Harvey. The arms of family Harvey are blazoned as follows: Gules, on a bend erminios three trefoils slipped vert on a chief argent a buck’s head caboshed azure, between two mullets of the first, and in the sinister chief point of the field a cross pate of the fourth. Crest: Out of a crescent or, charged with a buck’s head as in the arms a cubit arm proper the hand grasping a trefoil slipped erect very, the arm charged with an ermine spot gold. 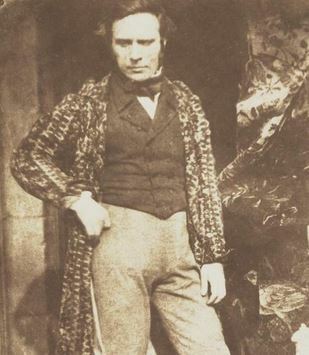 The Harvey genealogy traces back to William James Harvey, an Esquire of Carnouise, Scotland who was born in 1799. In 1836, he married Isabella, daughter of Charles Barclay of Inchbrown and Elizabeth Williamson, and had eleven children with her as follows: John (his heir, discussed below), William James (married Mary Thompson), Charles James, Isaac Alexander, George Samuel Abercromby, Henry Alfred, Edward Douglas Lennox, Elizabeth Alexandrina (married Colonel MacAndrew), Antonia Mary (married Charles Rudde Price, son of the Baronet of Spring Grove), Mary Edith Jane, and Constance Isabella. His son John Harvey was an Esquire of Carnousie, county Banff, as well as a Justice of the Peace and Deputy Lieutenant who was born in 1841. In April of 1873, he married Ellen Sophia, daughter of Thomas Christy of Broomfield in Essex, and had two children with her: Cecil and Frances Sophia, born in 1874 and 1875, respectively. This branch of the Harvey family tree was seated at Carnousie, Turriff, county Banff, Scotland, as well as Wilmington Hall, Wilmington, county Kent, England. This family claims descent from the noble House of Bristol. Francis Harvey, son of Richard Harvey if Lyme Regis, Dorset, and grandson of John of Meldreth, was jailed at Exeter at the beginning of the rebellion, and was then liberated and went to Lyme Regis, where he became a merchant. He was also chosen as Mayor. Around 1650, he received a grant of lands in county Wexford, Ireland from Oliver Cromwell, which were confirmed to him by King Charles II. He was a Member of Parliament and as High Sheriff as well. He married Katharine Plunket, with whom he had three children: John (his heir), Richard (lived in Cork), and Katherine (married Joshua Nunn of St. Margarets). 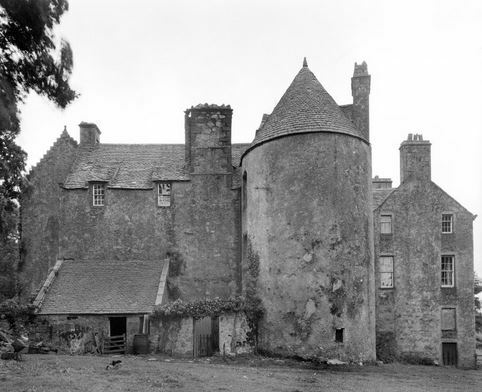 His son and heir, John Harvey, was an Esquire of Killiane Castle, a Member of Parliament, and a High Sheriff. In 1675, he married Elizabeth, daughter of James Stopford of Saltersford and New Hall, and had issue with her as follows: 1) James (his heir), 2) Francis (Captain of the Royal Navy), 3) William, 4) Richard, 5) John (born 1688, Lieutenant of the 30th Regiment), 6) Elizabeth (married Richard Rowe of Ballyharty), 7) Katherine (married Willian Welman of New Ross), 7) Mary (married Cornelius Donovan of Clonmore), 8) Amelia (married Benjamin Betts of Wexford), and 9) Susan (married Reverend William Harvey of Bargy). He died in 1707 and was succeeded by his son James. This son, Reverend James Harvey of Killiane Castle, was the Rector of Rathaspeck, born in 1676. He married Martha, daughter of John Beauchamp of Ballyloughane in county Carlow, and had the following issue: 1) John (his heir), 2) Vigors (Lieutenant of the 16th Regiment, married Sarah Watson), 3) James (of Wigan, Captain in the 7th Regiment, married Cecily Leigh, had issue named Robert John, Captain James Leigh, and Martha Cecilia), 4) Francis, 5) Bartholomew, 6) Martha (married Francis Harvey), and 7) Katharine (married Philip Pallister of Castletown). He died in 1670 and was succeeded by his eldest son, John Harvey. John was an Esquire of Killiane Castle and a Captain in the 16th Regiment of Foot. He married Martha Rowe and left an only child, also named John. This son John was an Esquire of Killiane Castle and a High Sheriff who was born in 1751. He married Dorothy, daughter of Major Loftus Cliffe, with whom he had the following issue: Vigors (his heir), Anne (married James Gildea of Coslough and later Ralph Nash of Cahirconlish), Martha, Dorothy (married William Harvey of Mount Pleasant), Barbara (married Richard Lamhart of Bristol and later Arthur Meadows of Hermitage), Mary (married Henry Archer of Ballyseskin), and Frances (married Reverend Samuel Adams of Northlands). He died in 1796 and was succeeded by his son, Vigors. Vigors Harvey was an Esquire of Killiane Castle, county Wexford, Ireland, and Hammerton Hall, county York, England, who was born in 1794. In 1818, by royal permission, he assumed the surname Hervey. In 1816, he married Frances Margaretta, and had a son with her named Charles John. Charles John Vigors Hervey was an Esquire of Kiliane, county Wexford, Ireland, who was born in 1817. In 1839, he married Martha, daughter of Thomas Reade Kemp of Kempt Town, Brighton, and Frances Baring, and had three issue with her as follows: Charles William Arthur (born 1855), Lydia, Blanche Maud (married Alfred Goldsmith), and Marie Augusta. The Hervey Coat of Arms or the Hervey Family Crest has the following heraldic blazon: Gules, on a bend argent three trefoils slipped vert. Crest: A cat-a-mountain sable bezantee ducally collared or, holding in the dexter paw a trefoil slipped vert. Motto: Je n’oublierary jamais. They were seated at Killiane Castle, Ballycogley, county Wexford, Ireland. The Harvey lineage traces back to Robert Harvey of Beachamwell, and Shingham, Norfolk, who was the son of John Harveye of Beacamwell, grandson of John Harveye, and great-grandson of John Harvie, who died around 1695, leaving two sons: John and Robert (of Hilborough, married Mary, daughter of William Nurse, and had a son with her named Kohn). The eldest son, John Harvey, of Beachamwell and St. Clement’s, Norwich, was a High Sheriff and Mayor who was born in 1666. He first married Anne, daughter of William Stalham, and had five children with her: Robert (his heir), Peter (married Elizabeth Ives), Thomas (of Norwich, married Lydia Ives, had issue), Samuel (Mayor of Norwich, married Mary Evans and later Sarah Hepburn), and Reverend William (Rector of Fineham, had issue). He remarried again and had more children. His eldest son, Robert Harvey, of St. Clement’s, Norwich, was born in 1697. He was a Sheriff and Mayor. He married Lydia, daughter of John Biack, and had a son with her, also named Robert. This son Robert was of Carron, Norfolk, and St. Clement’s. He was the Mayor of Norwich in 1776. He married Judith, daughter of Captain Onley, and had the following children with her: Robert (his heir), John (successor to his brother), Charles Henry (took the surname and arms of Savill Onley), and Sarah (married Archibald Morrison of Eaton). He died in 1816 and was succeeded by his eldest son, Robert. This Robert Harvey was of Catton and Stoke Holy Cross in Norfolk, as well Surrey House, Norwich, and was born in 1753. He was a Justice of the Peace, Deputy Lieutenant, Mayor of Norwich, Lieutenant Colonel of the East Norfolk Militia, and Colonel-Commandant of the Norwich Regiment of Volunteers. He married Ann, daughter of Jeremiah Ives, but died without a successor in 1820. He was succeeded by his brother John. John was of Thorpe Lodge, Norwich and was born in 1755. He was a Justice of the Peace, Deputy Lieutenant, High Sheriff, Mayor of Norwich, and Lieutenant-Colonel of the 3rd East Norfolk Yeomanry. 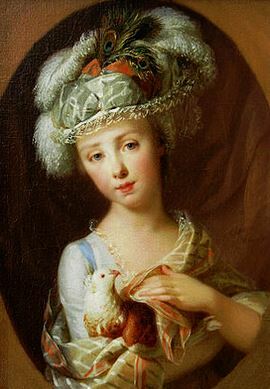 In 1782, he married Frances, daughter of Sir Roger Kerrison of Brooke House, and had several issue, including: 1) Sir Robert John (his heir), 2) George (of Thorpe Grove, married Marianne Beevor), 3) Roger Kerrison (of Thorpe, Justice of the Peace, Deputy Lieutenant, Captain of E. Norfolk Militia, married Eliza Beercroft Lacon), 4) Fanny (married Reverend Edward Bellman), 5) Marianne (married Reverend Charles Day), 6) Caroline Mary (married Onsley Savill of Stisted Hall), 7) Harriot (married Captain Thomas Biakiston), 8) Rosa (married John Ranking), 9) Augusta (married Harry Dent Goring), and 10) Charlotte (married Robert Blake Humphrey of Wroxham). He died in 1842 and was succeeded by his eldest son Robert. 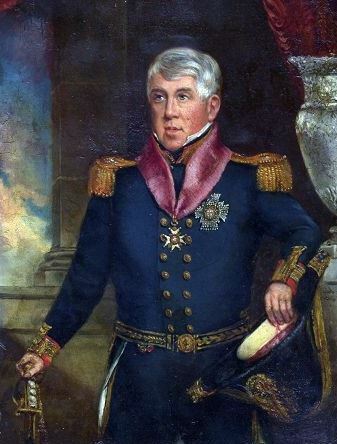 Sir Robert John Harvey of Mousehold House was a Knight of the Tower of the Sword, Justice of the Peace, Deputy Lieutenant, and General in the Army, who was born in 1785. 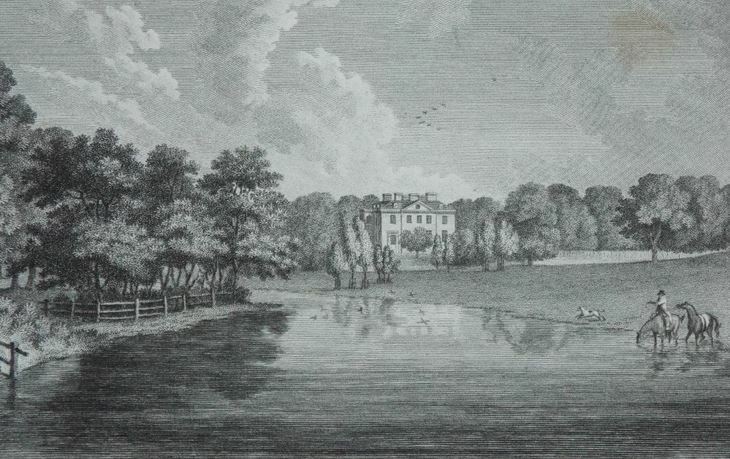 In 1815, he married Charlotte Mary, daughter and heriress of Robert Harvey of Watton, and with her had numerous issue, including: Robert Sir John Harvey (1st Baronet), John, Edward Kerrison (of Montague House, South Lowestoft, and Grey Friars, married and had issue), Julia (married Major Samuel Ives Sutton and later Peter Weils of Windsor Forest), and Charlotte Emma (married Reverend Henry Churchman Long, Rector of Newton and Swainsthorpe). He was a distinguished soldier who was present with the Duke of Wellington at the many battles (ex. Oporto, Busaco, Saiamanca, Vittoria, Nive). He died in 1860 and was succeeded by his eldest son Robert. This son, Sir Robert John Harvey Harvey, was the 1st Baronet, born in 1817. In 1845, he married Lady Henrietta Augusta Lambart, with whom he had several issue: 1) Robert Lambart Sutton, 2) Sir Charles (2nd Baronet), 3) Lambart Edward, 4) Henrietta Julia (married E.B. Knowles Lacon), 5) Ida (married Thomas Keppel), and 6) Alicia Meneiia (married Henry Keppei). He was a Member of Parliament for Thatford and was created a Baronet in 1868. He died in 1870 and was succeeded by his son Charles. Sir Charles Harvey, the 2nd Baronet, was a Justice of the Peace and Colonel of the 4th Bn Norfolk Regiment who was born in 1849. In 1870, he married Jane Ann, daughter of Benjamin Green of Newcastle, and had four issue with her as follows: Charles Robert (3rd Baronet, discussed below), Sibyl Henrietta (married Lieutenant Colonel James Campbell Ouseley Fitzmaurice), Christabel Katherine, and Gabriele Jean (married Philip Henry Napier). He married a second time and had a son with his second wife named Sir Charles Oliver. He died in 1928 and was succeeded by his son Charles. Sir Charles Robert Lambert Harvey, the 3rd Baronet of Crown Point, in the parish of Trowse, Norfolk, England, who was born in 1871. In 1891, he married Jessie, daughter of Ebenezer Turnbull of Smedley, and had two issue with her: John Carolton (1895) and Dorothy (1892). In 1921, he married Lysia Alexievna, daughter of Alexis Vladimirovitch Konshine of Moscow. The Harvey family crest is blazoned as follows: Erminois on a chief indented, gules, a representation of the gold medal presented to Sir Robert John Harvey, for his services at the Battle of Orthes, pendant from a ribbon, gules, fimbriated, azure, beneath the word “Orthes” between two crescents, argent, a canton ermine, thereon a representation of a badge of the order of the tower and sword. Crest: Out of a mural crown or, a dexter cubit arm erect, proper, above a crescent, argent, between two branches of laurel also proper. Motto: Alteri si tibi. Sir Ernest Musgrave Harvey was the 1st Baronet, of Threadneedle Street in London who was born in 1867. He was a Deputy Governor of the Band of England, a Lieutenant for London, and held other positions. He was created a Baronet in 1933. 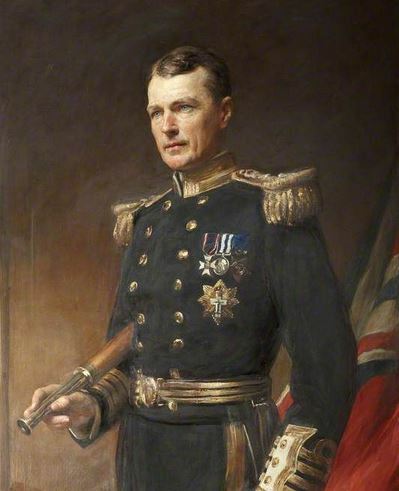 In 1896, he Sophia, daughter of Captain Catesby Paget of Aspley Guide, and had four issue with her as follows: Richard Musgrave (Lieutenant Commander in the Royal Navy, married Frances Estelle Lawford of Montreal, had issue named Charles Richard Musgrave and Joanna Musgrave), Joan Musgrave, Ruth Musgrave (married George MacGowan Harper), and Eleanor Paget Musgrave (married Edward Kent Haliburton Karsiake). The lineage of this line traces back to Reverend Canon Richard Harvey of College Green, Gloucester, who died in 1889. 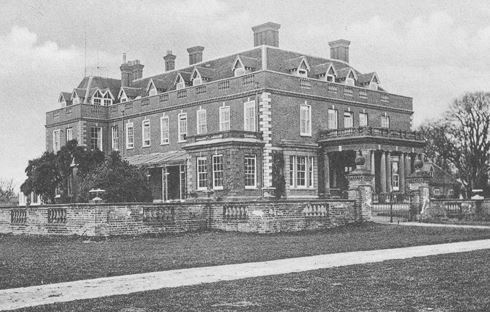 This family resided at Pennings, Mildenhall, Marlborough, Witlshire. Robert Batetson Harvey was an Esquire of Langley Park, county Bucks, England, who in 1856, married Diana Jane, daughter of Archdeacon Creyke, and had issue with her. 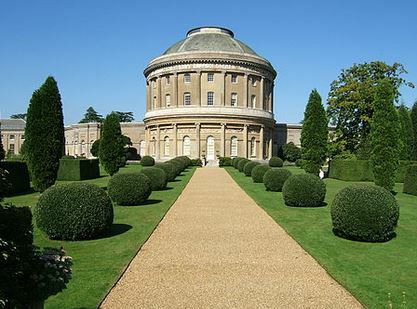 He acquired the property by bequest of the late Sir Robert-Bateson Harvey, Baronet. They were seated at Langley Park in Slough. 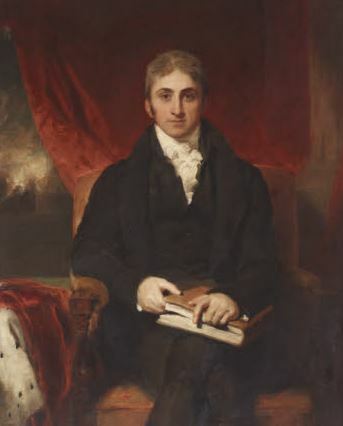 John Harvey was an Esquire of Blurton House in county Stafford, as well as a Justice of the Peace who was born in 1784. 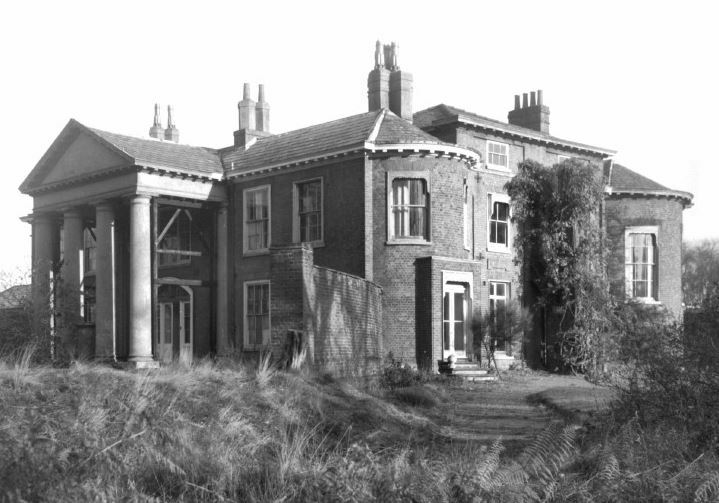 In 1827, he married Mary, daughter of William Baker of Fenton, and had a daughter with her named Mary (married George Ford of Barlaston in 1860). He was the son of Charles Harvey and his wife Hannah. The family was seated at Blurton House in Trentham. Robert John Harvey Harvey of Mousehold House was born in 1817. In 1845, he married Lady Henrietta Augusta Lambart, granddaughter of Richard, the 7th Earl of Cavan, and had the following children with her: Robert Lambart Sutton, Charles, Lambart, Henrietta Julia, Ida, and Alicia. This branch descends from John Harvey, Esquire of Beacham Wall in county Norfolk, England who inherited sizeable estates prior to his death in 1569. Humphrey Harvey was born in Kentshire, England in 1459. He had a son named Turner Harvey who was born in 1485. He in turn had a son named William Sr. William Sr. was born in 1510 in Somerset, England. He had a son named William. This son William was born in Ashill, England around 1560. He married a woman named Thomaszine and had a son with her named Thomas. This Thomas Harvey Sr. was born in 1580. He married Agnes Clark and Joan Collier. He had a son named William. 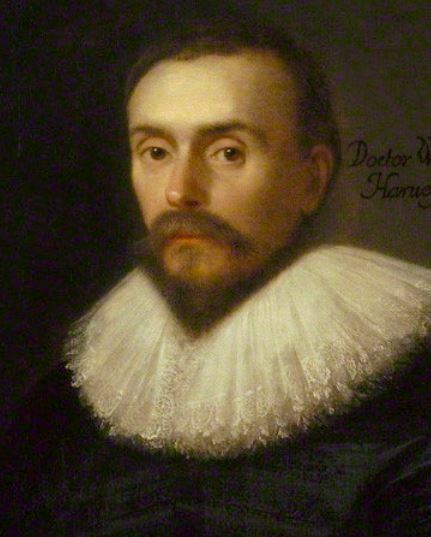 This William Harvey of Taunton was born in Ashill, Somersetshire in 1614. He married Joane Hucker and had the following issue: Abigail (Thayer), Thomas, Experience, Joseph, and Jonathan. Joshua Calvin Harvey Sr. (born in Greenbier, Virginia in 1769). Joshua married Sarah Ann Swope and had many issue: Mary Polly Bingham, Henry Thornton, Michael Williamson, Jonathan Wyane, Elizabeth Bell Pack, John Wesley Sr, James, Isaac Newton, Jacob White, Leah Pearly, Nancy Mitchell, Joshua Jr., and Lorenzo Dow. 1) Edmund Harvey of Milford, a merchant in 1639, who brought two young daughter with him and perhaps a wife. In 1640, he married Martha, and had issue named Josiah (1640) and Hannah (1646). He moved to Fairfield. It is believe he had other daughters. 2) Joachim Harvey of Newcastle of Great Island, New Hampshire, who was a freeman in 1669 and died in 1678. 3) John Harvey of Lynn or New London in 1682, who died in 1705. He had children named John and Elizabeth. He was a soldier at the Naragansett fight of Major Appleton’s Company in 1675. He took an oath of fidelity at Amesbury in 1677. 4) Joseph Harvey from Earlsbombe, Essex, who died during the passage. He spoke of his brother John in Wethershield, England. 5) Matthias Harvey of Hempstead, Long Island who married Mary, widow of Robert Cole, around 1655. 6) Peter Harvey in Salem 1692, who may have had sons named George and Henry. 7) Richard Harvey, a tailor, came from London in the Planter, 1635, age 22, with his wife Ann. 8) Richard Harvey of Concord, had twin daughters born in 1639. He may have moved to Stratford, by another wife had Elizabeth (1644), Mary (1647), and Sarah (1650). 10) Thomas Harvey of Amesbury, a Captain, freeman in 1690, and a representative after. 11) William Harvey of Plymouth who married Joanna in 1639. He moved to Taunton where he was a representative in 1664 for 13 years. 12) William Harvey of Boston, who married Joan, and had issue named Abigail (1640), Thomas (1641), Experience (1644), and Joseph (1645). He may have also married Martha and ad sons named William (1651), Thomas (1652), and John (1655). He died in 1658 and his widow married Henry Tewksbury. 4) Richard Harvy, age 32, came to Virginia aboard the Speedwell of London in May 1635. 5) Alexander Harvie, age 15, came to Virginia aboard the Safety in August 1635. Later settlers who came in the eighteenth century include: Sarah Harvey (Virginia 1702), Lidia Harvey (Virginia 1704), Job Harvey (Pennsylvania 1707), Priscilla Harvey (Virginia 1711), and Hannah Harvey (Virginia 1714). In Canada, one of the first settlers bearing this last name was William Harvey, who arrived in Trinity, Newfoundland in 1708, followed by Richard Harvey who came to Nova Scotia in 1749. In Australia, Robert Harvey, an Irish convict from Queen’s County, age 35, came to New South Wales aboard the Asia in 1824. In 1820, Elizabeth Harvey, a convict from Wiltshire, England came to Van Diemen’s Land (modern day Tasmania) aboard the America. In New Zealand, several bearers of this last name came in the year 1840, including William Harvey who came to Wellington aboard the Earl Stanhope, William Harvey who came to Wellington aboard the Blenheim, Michael Harvey who came to the Bay of Islands, and Richard Harvey (with wife Mary) who came to Wellington aboard the Martha Ridgeway. 1) Bookplate Rev. Henry Harvey. Gu on a bend arg 3 slipped trefoils voided [vert]. In the sinister chief a crescent on a crescent Crest: a lion pass guard holding a trefoil of the field. 1) Edward Harvey of Philadelphia, Pennsylvania, 1804, from County Carlow, Ireland. Arms: Gules on a bend argent three trefoils slipped vert. Crest: A cat-a-mountain proper holding in the dexter paw a trefoil slipped vert. Motto: Je n’oublierai jamais. 2) Thomas and William Harvey of Dorchester, Massachusetts in 1636, from Somerset, England. Arms: Sable, a fesse or, between three squirrels sejant, cracking nuts of the second. Crest: A squirrel sejant argent, tail or, cracking a nut of the last. 2) This word is inscribed on a tricolor flag, held by the lion, which forms one of the supporters of the arms of Sir G. Walker, in memory of the services of his father, Sir G. T. Walker, K.C.B., in the Peninsula. The ostrich, which is the other supporter, holds the colours of the 50th Regiment, with the word “Vimicra” inscribed thereon. “Orthes” is also borne by Sir R. T. Harvey, C.B., K.T.S., inscribed beneath a representation of the medal presented to him for his services at that battle. 4) derived from Byron: “That fame, and the memory, still will be cherished; He vows that he ne’er will disgrace your renown; Like you will he live, or like you will be perish; When decay’d may he mingle his dust with your own”. 5) This word “Temeraire” was the name of the ship which Sir Eliab Harvey, G.C.B., commanded at the glorious victory of Trafalgar, fought October 21st, 1805. The word “Trafalgar”, borne on the rim of the naval crown with which the sinister supporter (a horse) is gorged, commemorates the same event; under the arms are the names of the two French ships “Redoubtable et Fouguex” which engaged and captured by Captain Harvey. 1) Tobiah Harvey of Womersley, Yorkshire, and brothers, 18 September 1688, by T. St. George and J. Dugdale. 5) George Harvey, Captain in the troops in Ireland, of Maldex, Essex, youngest son of Roger, confirmed on 3 December 1603 by W. Dethick and Camden. There are hundreds of notable people with the Harvey surname. This page will mention a handful. 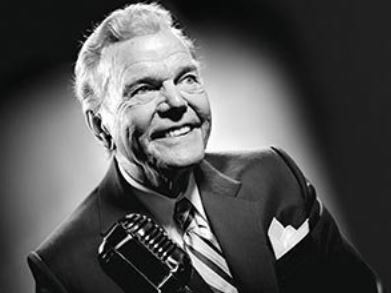 Famous people with this last name include: 1) Doug Norman Harvey (1924-1989) who was a professional hockey player in the NHL from 1947 to 1964 and again from 1966 to 1969, having been born in Montreal Quebec, Canada, and having played for eight different teams including the Montreal Canadian and New York Rangers, 2) Admiral Sir Edward Harvey (1783-1865) who was an officer in the Royal Navy during the French Revolution and ensuing Napoleonic Wars, born in Eastry, Kent, England, 3) Sir Henry Harvey (1743-1810) who was an officer and Admiral in the British Royal Navy, born in Eastry, Kent, 4) Jeffrey A. Harvey (1955) who is an American theoretical physicist who studied string theory at the University of Chicago, born in San Antonio, Texas, 5) Louis Powell Harvey (1820-1862) who was the 7th Governor of Wisconsin in 1862, having been born in East Haddam, Connecticut, 6) Michael Smith Harvey (1881-1958) who was an American football player and coach at schools such as University of Alabama, Auburn University, and University of Mississippi who was born in Russell County, Alabama, 7) Broderick Stephen Harvey (1957) who is a famous American entertainer, comedian, TV host, actor, and author who was born in Welch, West Virginia, best known for the Steve Harvey show, 8) William Henry Harvey (1811-1866) who was an Irish botanist who studied in algae, born in Limerick, Ireland, 9) Paul Harvey Aurandt (1918-2009) who was an American radio broadcaster whose career spanned from 1952-2008, having been born in Tulsa, Oklahoma, and 10) Laura Harvey (1980) who is an English women’s soccer coach who was also a former player, born in Nuneaton, Warwickshire, England. Three of the main heraldic symbols depicted within the Harvey Coat of Arms (incorrectly referred to as the Harvey Family Crest or Harvey Family Shield) are the leopard’s heard, chevron, and trefoil, each which have their own unique meaning. The leopard’s face (sometimes, incorrectly referred to as a leopard’s head occurs very frequently in heraldry. Early heraldic artists tended to treat lions and leopards as the same animal, but during the development of British Heraldry the heads of the two creatures have adopted separate, and more realistic forms. Wade would have us associate leopards with warriors, especially those who overcome ”hazardous things by force and courage”. The chevron is one the major shapes used upon a shield, known as ordinaries. The inverted ‘V’ of the chevron is perhaps thought to have originated to represent a military scarf folded on the shield, or additional cross-pieces used to strengthen the shield and painted a different color. It has also acquired the meaning of “Protection… granted… to one who has achieved some notable enterprise”, possibly because of its resemblance to the roof truss of a house. In some cases, it was granted to individuals who constructed fortresses, churches, or other great structures or completed a work of faithful service.